Excellent Visibility! 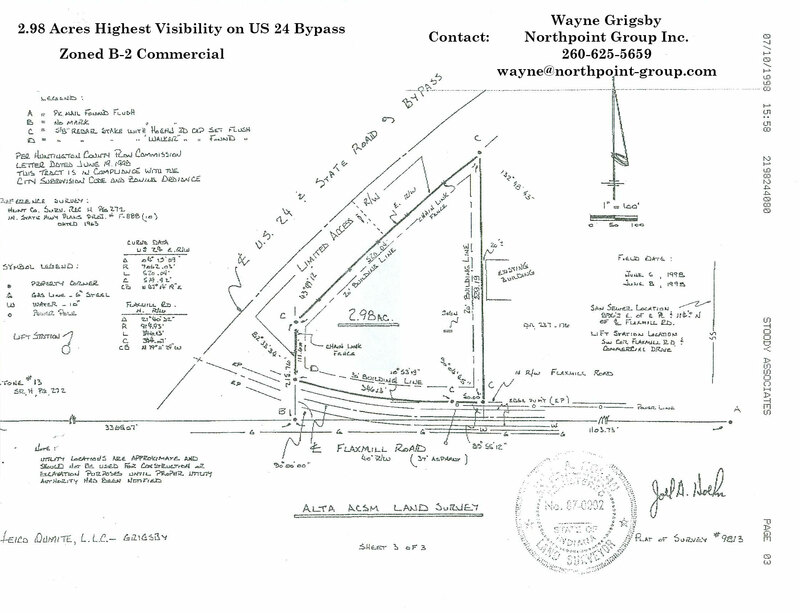 2.98 acre lot zoned B2 business located on highway US24 bypass at Flaxmill Road. 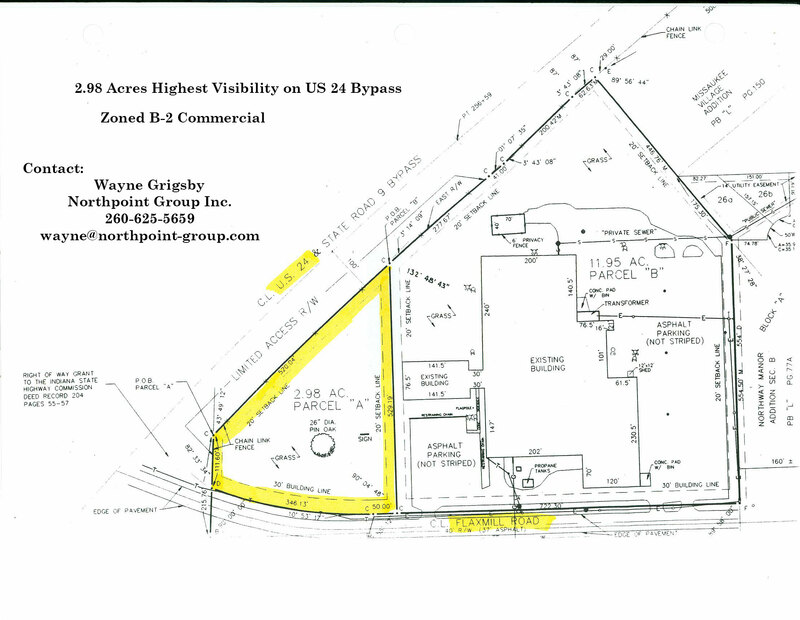 Available for land lease or we will build a building for your business and lease it to you. Copyright © 1994 - 2018 Northpoint Group, Inc. Huntington, Indiana All Rights Reserved.